Charity Navigator guides your intelligent giving. We help people give to charities with confidence and shine a light on truly effective organizations. We also offer donors the convenience of supporting the charities they care about through our Giving Basket. You can add a donation to your Basket on each charity’s profile. This page summarizes the key points in our Rating Methodology. A detailed breakdown of our Methodology is also available. IRS Tax Status: Charity Navigator rates organizations registered as 501(c) (3) public charities that file a Form 990 with the Internal Revenue Service. 501(c)(3)s are tax-exempt and eligible to receive tax-deductible contributions, meaning that their earnings don’t benefit private individuals, their activities can’t be substantially used to influence legislation, and they don’t participate in political campaigns or political endorsements. We don’t rate 501(c)(4) organizations, organizations exempt from filing the Form 990, private foundations, or organizations that file the Form 990-EZ. Revenue: Charity Navigator rates charities generating at least $1 million in revenue for two consecutive years. Length of Operations: Charity Navigator rates organizations that have been in existence for at least seven years, with corresponding Forms 990. We believe it’s unfair to hold new nonprofits to the same benchmarks expected of established organizations. Newer organizations understandably incur abnormally higher overhead costs in their first few years of existence as they begin their operations. Location: Charity Navigator rates charities based in the U.S. and registered with the IRS, but the scope of a charity's work can be international. Public Support: The charity must have at least $500,000 in public support, which must account for at least 40% of the organization’s total revenue for at least two consecutive years. Public support is defined as the combination of gifts, grants, contributions and membership fees from donors, foundations, and corporations. Fundraising Expenses: Charity Navigator rates organizations with at least 1% of its expenses allocated to fundraising for three consecutive years. Charities depending on the public for support fundraise to sustain their operations. Administrative Expenses: The charity must have at least 1% of its expenses allocated to administrative expense for three consecutive years. Administrative expenses include things such as the cost of general legal services, accounting, office management, and human resources. Land Trusts have the potential for substantial fluctuations in revenue from year-to-year due to the unpredictable timing of land donations. Hospitals and Hospital Foundations generate revenue almost entirely through program services. Universities, Colleges, Private Elementary and Secondary Schools, and their Foundationsgenerate revenue almost entirely through program services (tuition). Sorority and Fraternity Foundations are funded by their members, rather than general public. Donor Advised Funds have the potential for substantial fluctuations from year to year due to the unpredictable timing of donations and payouts from the various funds. Fiscal Sponsors provide fiduciary oversight, financial management, and other administrative services for organizations or programs who themselves do not qualify for an IRS tax exemption. Click here to learn more about Charity Navigator's rating criteria. We classify charities by the kinds of programs and services they provide, as well as their financial functionality. Our research indicates that while many kinds of charities function in financially similar ways, there are significant differences in the way certain kinds of charities function financially. In an effort to take such differences into account, we employ a two-tiered classification system, grouping charities into broadly-defined Categories, and more narrowly-defined Causes within each category. In defining our Categories and Causes, we use a classification tool that allows us to evaluate charities fairly and accurately, while comparing organizations to other similar organizations. There are 11 widely-used Categories of charitable activity. Charity Navigator has 37 Causes under these 11 Categories, which we use to classify various charities during our ratings process. Our classifications are made using three criteria: First, we use the activity code each charity selects in its filings with the IRS to determine how the charity classifies itself. Second, we examine the charity's programs and services to determine the charity’s activities. Third, we examine the charity's financial information to determine their financial functionality. Charity Navigator aligned our Causes with specific activity codes and automatically assigns charities based on the activity code that they selected. Those default assignments are changed when we have compelling evidence to say that by assigning the charity elsewhere, our ratings will be more accurate. Click here to learn more about Charity Navigator's charity classifications. At Charity Navigator, we believe that there are two dimensions of a charity’s operations that an intelligent giver needs to consider when selecting a charity to support. We rate charities by evaluating Financial Health and Accountability & Transparency. Our ratings show donors how efficiently a charity will use their support, how well it has sustained its programs and services over time, and their level of commitment to accountability and transparency. It’s important to note that our ratings aren’t rankings — we designate charities’ specific ratings based on their score in our two categories of evaluation. Charity Navigator’s evaluations are based on the financial information that each charity provides in its informational tax return, the IRS Form 990. With that information, we analyze each charity’s financial performance in seven key areas, which assess its financial efficiency and capacity, in relation to the charity’s cause area. Their final score of ‘Financial Health’ comes from combining a charity’s scores on a zero to ten scale for each of the seven performance metrics. Click here to learn more about Charity Navigator's Financial Health ratings. Charity Navigator uses two sources to evaluate an organization’s Accountability & Transparency: information provided by an organization on their Form 990 and information collected from a review of the charity’s website. We use that information to score the organization on seventeen different metrics, which assess whether the charity follows best practices of governance and ethics, and whether the charity makes it easy for donors to find critical information about the organization. We then assign a rating for the organization’s overall Accountability & Transparency. Click here to learn more about Charity Navigator's Accountability & Transparency ratings. *Code of Conduct: Charity Navigator is collaborating with leaders in the nonprofit sector to draft an code of conduct policy for employees and volunteers working in offices, in the field, and at events. How Is the Overall Score and Star Rating Calculated? Although the calculation for Overall Score differs from the calculation for Financial Health and Accountability & Transparency, the Overall Rating has the same rating table. What Do Charity Navigator Ratings Mean? We believe our ratings improve the quality and quantity of information available to intelligent givers. Our ratings provide clear, objective, and reliable assessments of both the Financial Health and Accountability & Transparency of charities. By utilizing our ratings, donors can learn how a charity compares on these performance metrics with other charities throughout the country. You can find more information regarding the scope of our ratings here. Looking for some guidance on giving or investing? Visit our Tips for Donors. Exceptional Exceeds industry standards and outperforms most charities in its Cause. Good Exceeds or meets industry standards and performs as well as or better than most charities in its Cause. Needs Improvement Meets or nearly meets industry standards but underperforms most charities in its Cause. Poor Fails to meet industry standards and performs well below most charities in its Cause. 0-Stars Exceptionally Poor Performs far below industry standards and below nearly all charities in its Cause. CN Advisory No Rating Serious concerns have been raised about this charity which prevents the issuance of a star rating (See how we decide to post a CN Advisory). How Current Are Charity Navigator Ratings? Charities have 135 days following the end of their fiscal year to prepare and file their Form 990. Beyond that time limit, many charities request extensions, including an additional four-month time limit, which are automatically approved by the IRS. As a result, organizations often file their 990 eight to ten months after their fiscal year ends. If the charity you are considering has outdated financial information, we encourage you to contact them. When a new rating is published for a charity, basic information gets reviewed, including contact information and current leadership. Charity Navigator provides several pieces of information, outside of our ratings. in an effort to educate donors and provide a more detailed picture of each charity. CEO Pay: As with successful organizations in any sector, effective charities recruit, develop, and retain talented people. Charity Navigator users are understandably interested in the salaries of the individuals who run charities, so we include the name and compensation of the organization's CEO, which is publicly available on the IRS Form 990. Charity Navigator publishes the salary of the CEO paid by the charity, as well as the portion paid by an affiliate entity (or entities), in separate columns; this lets donors know how much the CEO earns for running that organization, no matter how diverse the money trail. Also note that CEO compensation reported on the Form 990 reflects the CEO’s pay for the calendar year, not the fiscal year, because the IRS requires that charities report compensation on the Form 990 exactly the same as they did on the W-2 Form. We define the CEO as the individual employed full-time to lead the organization on a day-to-day basis for the accounting period reflected by the charity's income statement. In the absence of a CEO, we substitute the full-time administrative employee receiving the highest pay. If you are considering a donation to a charity with no reported CEO salary, we encourage you to contact that charity directly to determine how that charity is able to thrive without having to compensate their CEO. Income Statement: The information on the Income Statement shows the breakdown of a charity's revenue and expenses, its payments to affiliates, excess or deficit, and total net assets reported on the most recently filed Form 990. Mission: The mission is a statement of an organization's purpose, programs, and services rendered, which often defines a charity’s core purposes. How Are CN Advisories Published? When Charity Navigator learns of information about the conduct or operations of a charity or an alleged charity, the information is reviewed by the CN Advisory Issuance Committee (CNAIC). When considering a CN Advisory, CNAIC considers: (1) the credibility and timeliness of the information; (2) the nature, scope, and seriousness of the allegations or convictions; (3) whether or not the allegations have been proven, and (4) other factors on a case-by-case basis. CNAIC does not have the capability to independently assess the accuracy of the information, nor does it attempt to. The committee views its role as determining if a donor might find such information helpful when considering a contribution to the organization. Audits that contain a qualified opinion and/or an "Emphasis of Matter Regarding Going Concern"
Any other conduct not listed above may be considered for an advisory if Charity Navigator believes it may affect a donor's decision to support a charity. When making a donation decision, users should make sure to do as much research as possible, to ensure they feel comfortable with their donation. If a charity is rated and the Committee determines a CN Advisory is necessary, then we will continue to provide historical rating information for that organization. 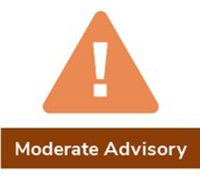 For Moderate and High Concern CN Advisories, the advisory replaces the star rating and all previous ratings appear in the historical section of the organization’s profile. 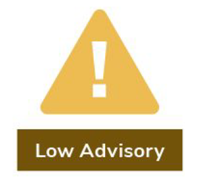 For Low Concern CN Advisories, the advisory appears in conjunction with the current rating. In cases where a charity has not been rated but is listed as a registered charity in the IRS database, we continue to display the basic IRS information provided on the organization’s unrated page. If a charity’s contact information is available and accessible, we notify them in advance of publishing a new CN Advisory to provide an opportunity for the charity to submit information about the issue(s) that led to the CN Advisory. Charities with a CN Advisory are welcome to provide information concerning the Advisory, at any time. Even if the information does not warrant the revocation of the CN Advisory, Charity Navigator reserves the right to make the information available to ensure donors have access to all recent and relevant information. How Are CN Advisories Removed? Low Concern CN Advisories are in place a minimum of 6 months, and High-to-Moderate Concern CN Advisories are in place for a minimum of 12 months. If the charity is able to provide documentation that’s reliable and accessible to show the issues identified have been resolved, and steps have been taken to prevent the issue from reoccurring, the advisory may be removed sooner. We consider removing the CN Advisory if we receive an amended Form 990 detailing the charity’s fundraising expenses along with evidence that the IRS has also received the amended Form 990. We consider removing the CN Advisory if the charity reports fundraising expenses on their Form 990 for three consecutive years following the zero fundraising. For the CN Advisory to be lifted, fundraising expenses must amount to no less than 1% of the charity’s total functional expenses. 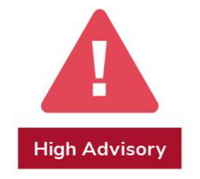 When we remove a CN Advisory from a charity, an archived version of the advisory will remain in the historical section of a charity’s profile page. Any archived advisory will include information that caused the removal of the CN Advisory. This way, donors have an opportunity to learn about and understand the issues the charity previously faced and how it resolved those issues. Are Charities With Multiple Affilitates Rated? Some charities appear to the public as one organization, when they are actually legally considered a group of separately incorporated entities. The most common case we see is a national charity that has regional chapters set up across the country. In this situation, the national group is one entity, and either the local offices are each individual entities or the chapters are all together as a second entity. Another structure often seen is a charity and its closely affiliated foundation. The important thing to know about charities with affiliates is that each individual entity files its own Form 990. Since Charity Navigator rates charities based on the 990 data, we would end up rating each affiliate separately. Whenever possible, we rate the organization and its affiliates on a consolidated basis, providing donors with an evaluation of the whole organization rather than separate ratings of the organization’s parts. Charity Navigator uses consolidated pro-forma 990 to closely approximate the data presented in a charity’s consolidated audited financials, as financial data for all affiliates is included and intercompany transactions are eliminated. Charity Navigator requires five years of consolidated pro-forma Forms 990 to issue a single evaluation for a charity and its affiliates. If a charity ceases to provide us consolidated Form 990 data, we remove the rating that is posted. The rating will be replaced by a message stating that the organization is no longer providing the consolidated data that is needed to complete an evaluation. See the list of charities rated with consolidated pro-forma data. Click here to read Charity Navigator's Glossary of Terms.